Supported by numerous photographs and thousands of eyewitnesses, the Belgian UFO wave is arguably one of the most convincing UFO sightings ever reported in human history. 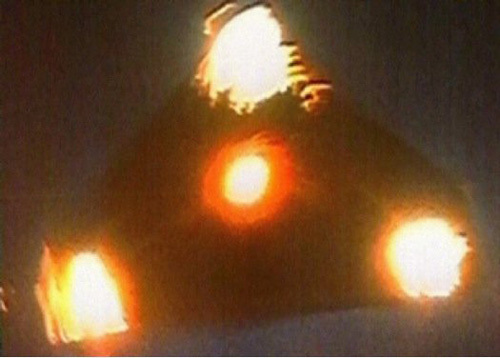 The Control Reporting Center (CRC) confirmed that several unidentified triangular objects were seen hovering in the sky of Belgium between November 1989 and April 1990. The strange objects had lights as bright as the stars and changed their colors. Two F-16 jets were sent to investigate the reported sightings but found nothing. Although it was confirmed that the F-16 pilots were able to obtain "lock on" in their radars, there weren't any strange objects in the sky when they arrived at the destination. 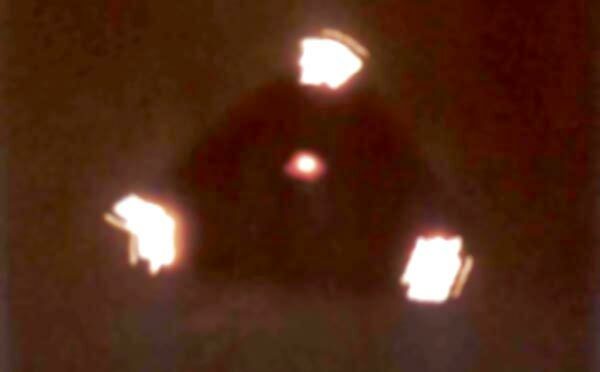 According to some eyewitnesses, the bright lights from the strange objects would become dim, if not disappear completely, whenever the jets approach. Moreover, reports said that the UFOs moved in extremely drastic and accelerated motions in just a small span of time, which would've been living to threaten to ordinary human pilots. It was estimated that over 13,000 people witnessed the strange spectacle. General De Brouwer, retired Major General of the Belgian Air Force and was Chief Operations in the Air Staff when the Belgian UFO Wave happened, had stated on his report: "At all events, the Air Force has arrived at the conclusion that a number of abnormal phenomena have occurred in Belgian airspace. The extensive evidence of ground observations collected in this book, reinforced by the recordings of the night of March 30/31, have led us to consider the hypothesis that a number of unauthorized air activities have indeed taken place." Since no evident hostility or aggressiveness have been observed from the bizarre phenomena, the authorities had decided not to inform Belgium's neighboring countries regarding the incident. An "information stop" had also been decided due to media's belligerence.